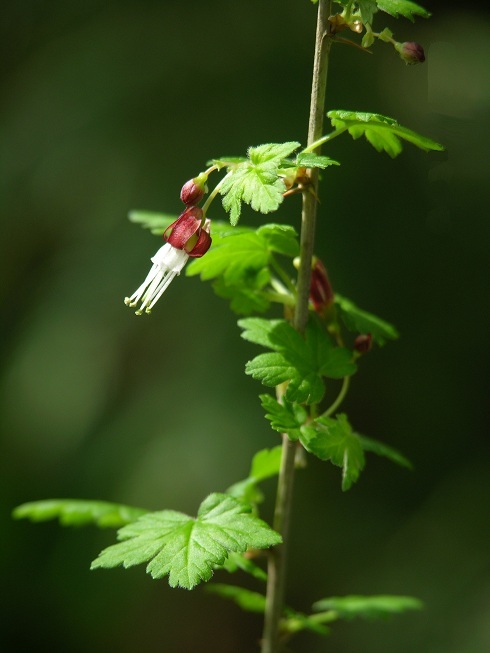 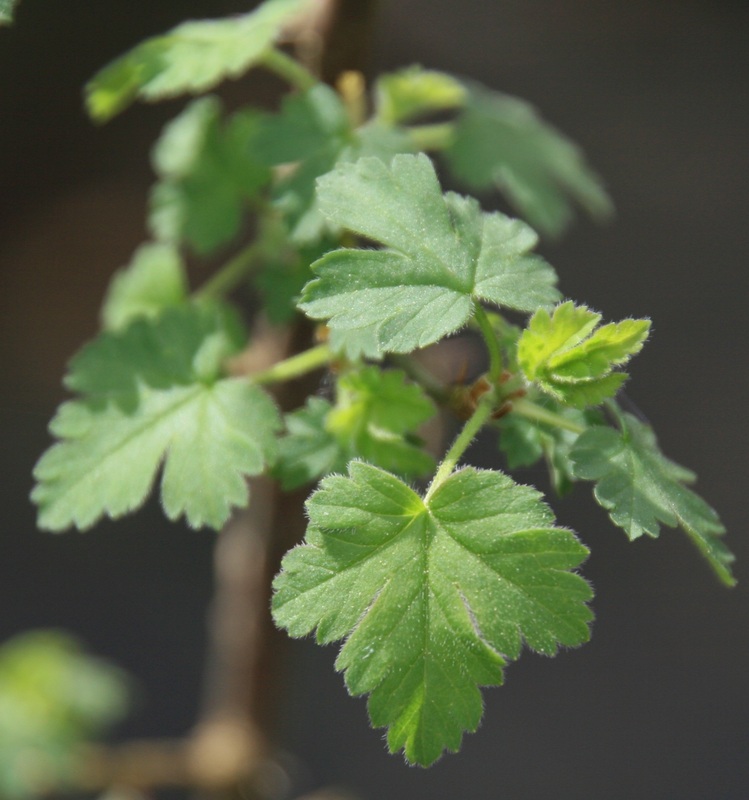 Ribes divaricatum is a common gooseberry found along the coast from British Columbia to California at lower elevations in USDA zones 7-8. 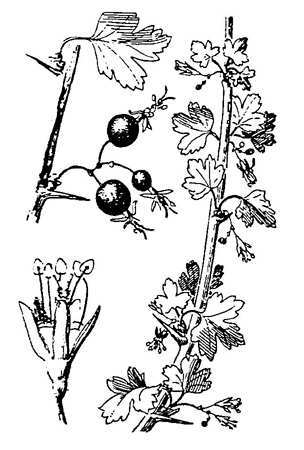 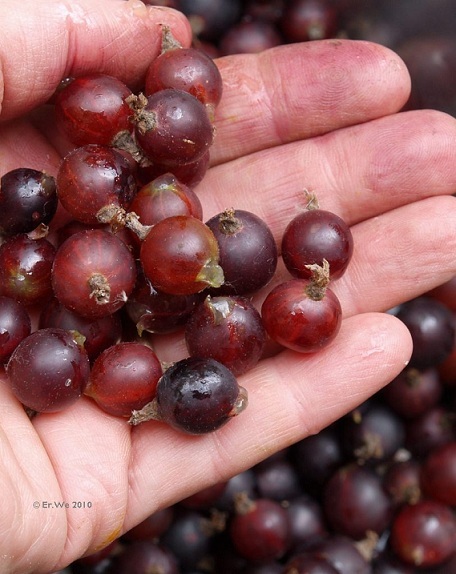 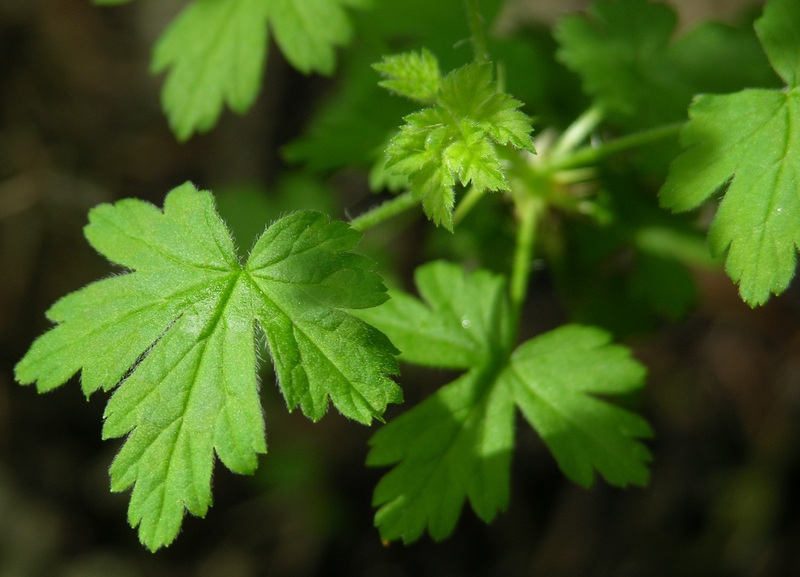 This gooseberry was found in Lewis and Clark’s collection of plants. 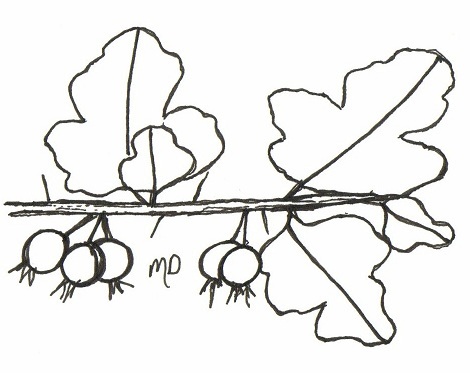 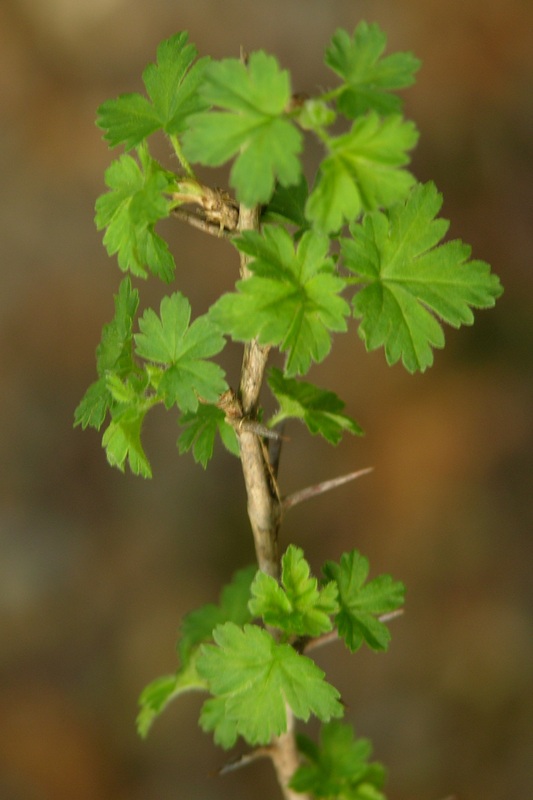 It is not as shrub-like as many gooseberries are; instead it produces arching canes that root as they touch the ground and eventually form thickets. 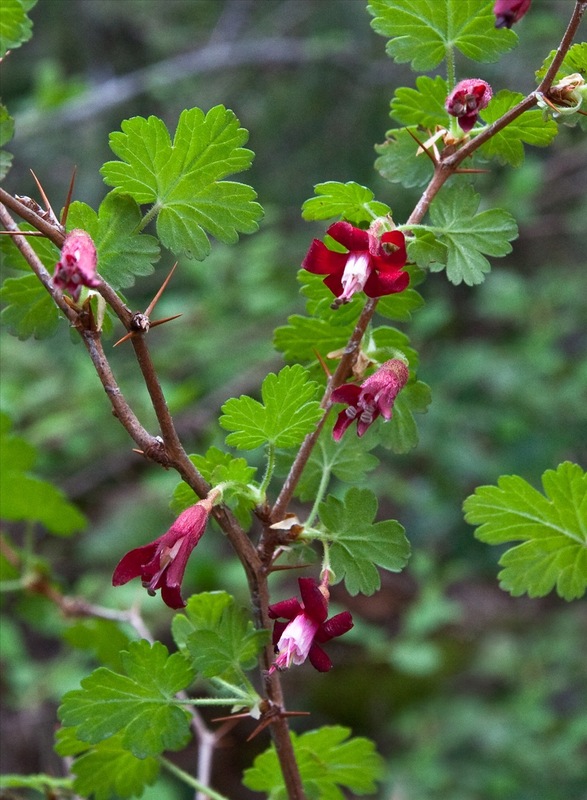 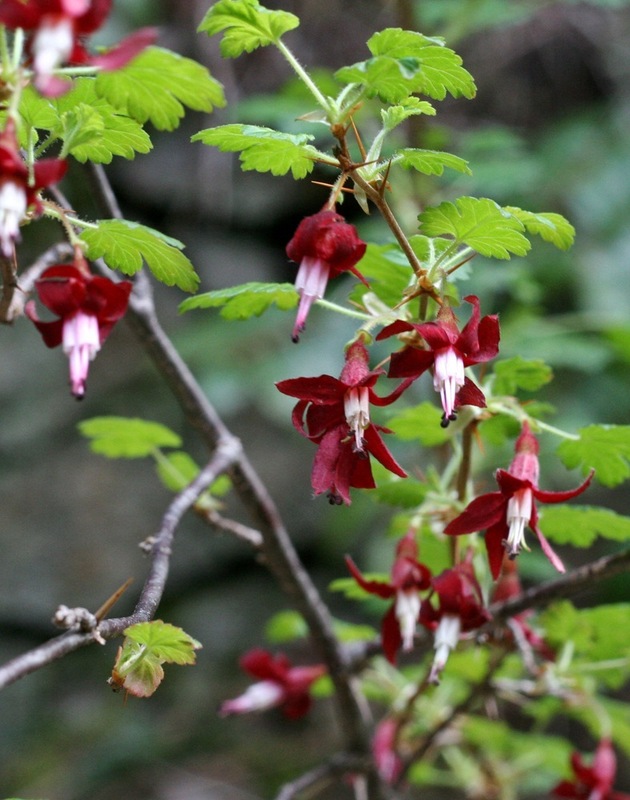 The racemes of bell shaped flowers range from green to a reddish purple and the round edible berries are smooth and nearly black when ripe. 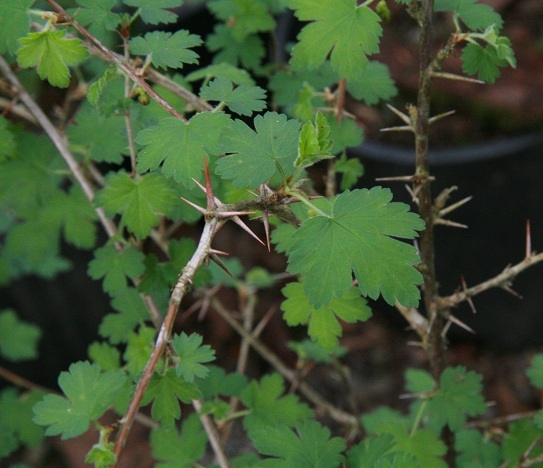 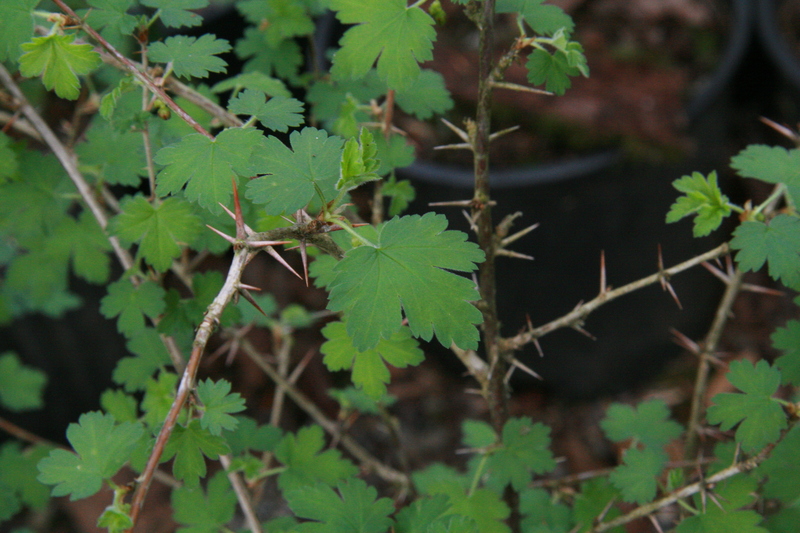 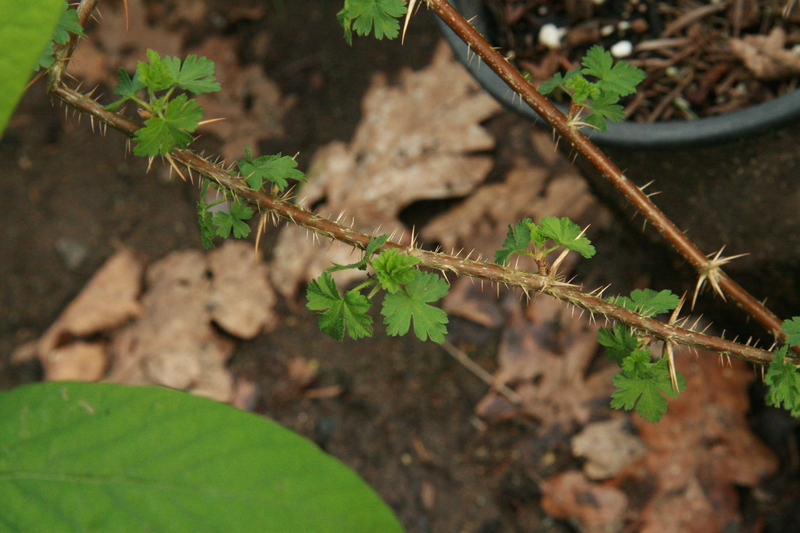 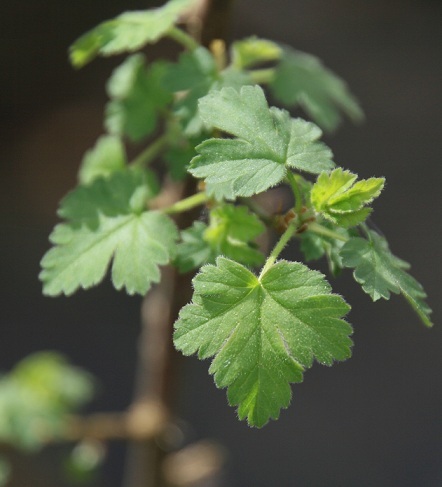 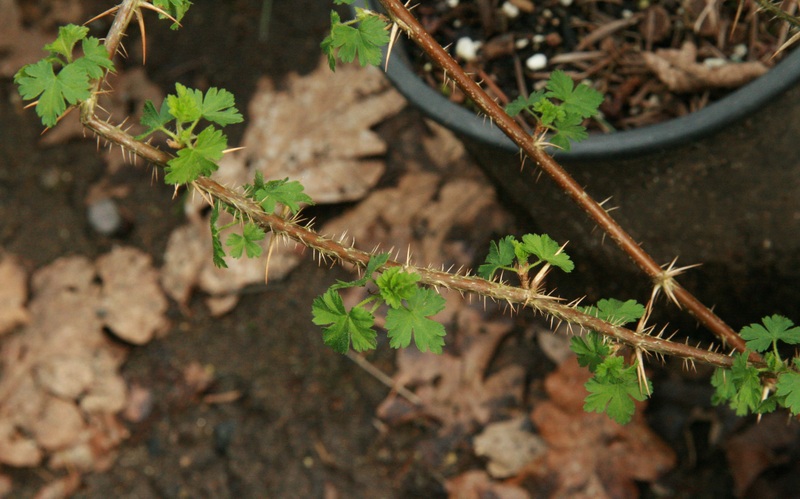 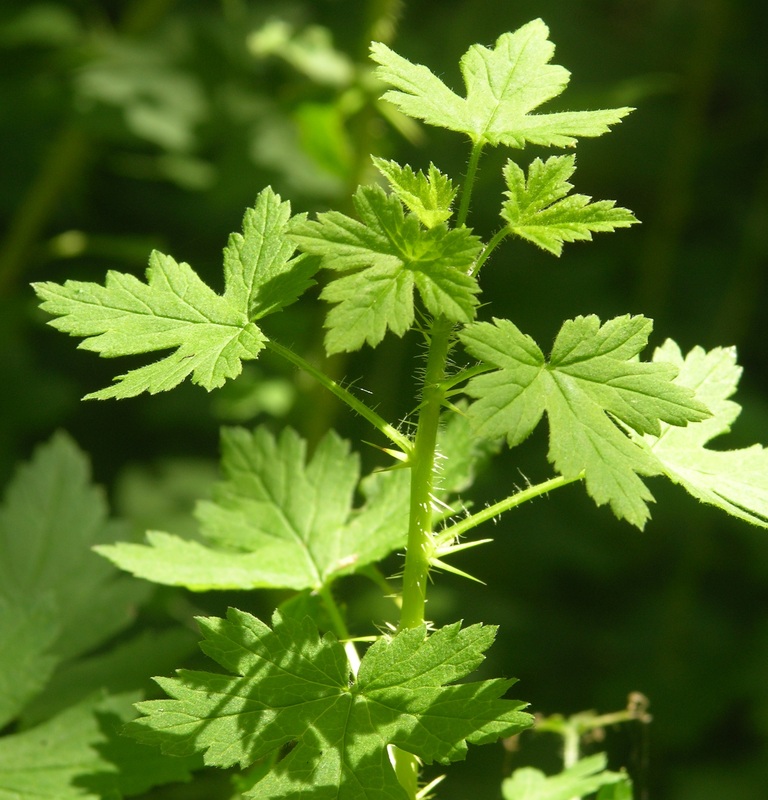 This gooseberry has few thorns in clusters of three and has three lobed leaves. 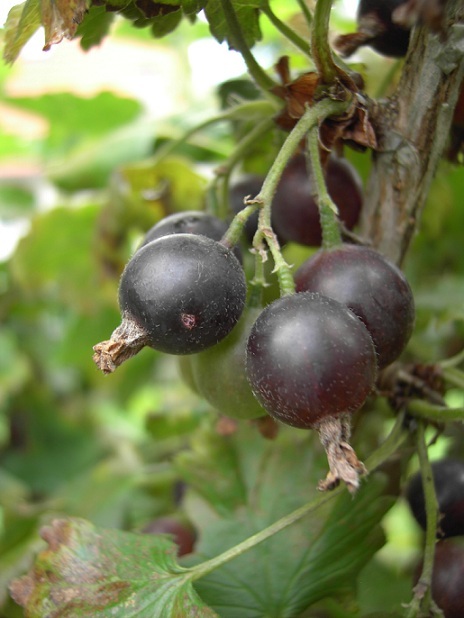 Coast Black Gooseberry grows best in moist open areas especially along stream banks. 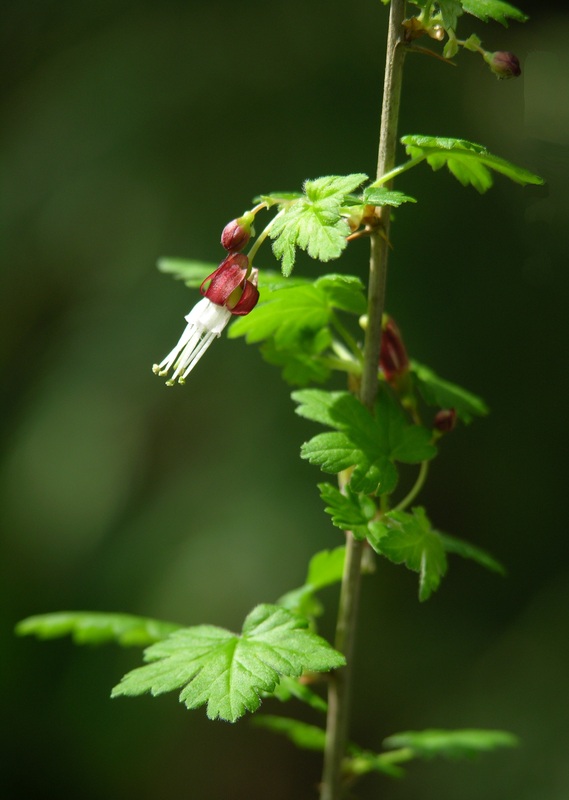 Special thanks to I, Zulio for the photo at top; and to Er.We for the photo at bottom right.